California Sheet Metal has a track record of exceeding our customer’s expectations in fabricating sheet metal parts from the simplest brackets or electronic enclosures, to extremely complex weldments. 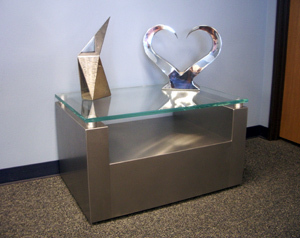 We have the ability to fabricate almost anything. The finished product is only limited by your own imagination. Our work can be found in retail stores, hotel chains, as well as private homes within Northern California and through-out the world. 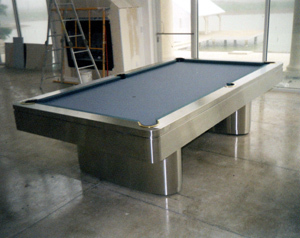 Our regular projects are out of Stainless Steel, Black Iron and Aluminum but are able to use almost any type of metal. We can also provide paint and powder coat finishes as well as laser etching. We are staffed by experienced employees dedicated to manufacturing quality products.